Living in Arizona is a beautiful thing. 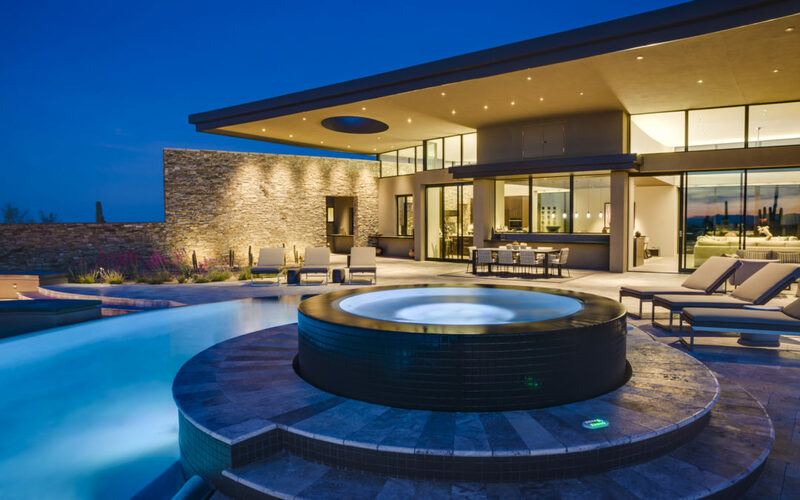 With a vibrant culinary scene, arid climate, lots of great golf and lovely natural landscapes, While Arizona has much to offer, during the summer months, Arizona interior design can present specific challenges for keeping your home cool, relaxing, and comfortable. In addition to central air and the almost required swimming pool, creating a welcoming and comfortable indoor-outdoor space can be important as well. 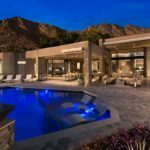 Arizona homes are unique in that so many have non-standard designs and indoor-outdoor spaces that are built in. These spaces work well when you want to enjoy the outdoors, but still feel some of the cool air from inside the house. They are often interesting spaces with unusual architectural and interior decorating features. Research has found that respondents define a happy home as a secure space (69%), a haven for rest (64%), and the place where you can feel most free to be your authentic self (57%). Your indoor-outdoor space should match these criteria as well. These areas tend to serve as home retreats and their decor should reflect their special nature. Below is some inspiration for decorating your own indoor-outdoor sanctuary. These spaces can be subject to the elements, so most decor should be able to withstand high heat, winds, rain, and bleaching from the sun. Many metals and other heat-absorbing materials should be avoided as they may heat up in the sun and become burn dangers. 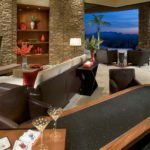 Arizona is known for its vibrant use of color and your indoor-outdoor space need not be an exception. However, if using bright colors, consider the placement of your bright items and how they are made, to avoid the sun washing out your colors. These pieces might be placed under a covered section of your indoor-outdoor space or constructed of materials that are resistant to fading in the sun. 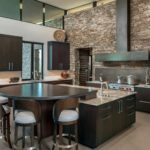 As your indoor-outdoor space will likely become a favored spot for your family and guests, it’s interior decorating should get as much love as the rest of your home. Note also that demand for specialized interior design capabilities, like Janet Brooks’ Design team, are predicted to grow by 20% over the next ten years. Niche home design is becoming much more common and much less niche. When appointing your indoor-outdoor space, be sure to include comfortable seating; hard surfaces won’t do for this relaxing area. Consider a bar, either just inside the area or outside under the covered portion. The trek to your next margarita should be a short one! And, it doesn’t hurt to have plenty of water at hand to keep your loved ones hydrated and cool. Give the interior decorating team at Janet Brooks Design a call today to explore design options for your indoor-outdoor space.